6 oz fresh watermelon juice (I used a seedless watermelon so mixed it in my food processor and then strained it through a metal strainer). Chill 2-3 glasses in your fridge or freezer 10 minutes before making the cocktail. Combine the sugar and salt and spread it on a flat bread plate. Dampen the rim of your glass with water or lime juice and dip it in the sugar/salt mixture. (Save the leftover mixture for another occasion). 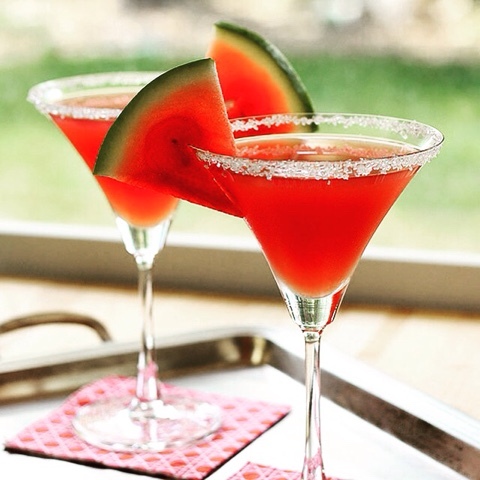 Combine the watermelon juice, vodka, liqueur and lime juice in a cocktail shaker. Fill the shaker with ice and shake vigorously for 6-8 times. 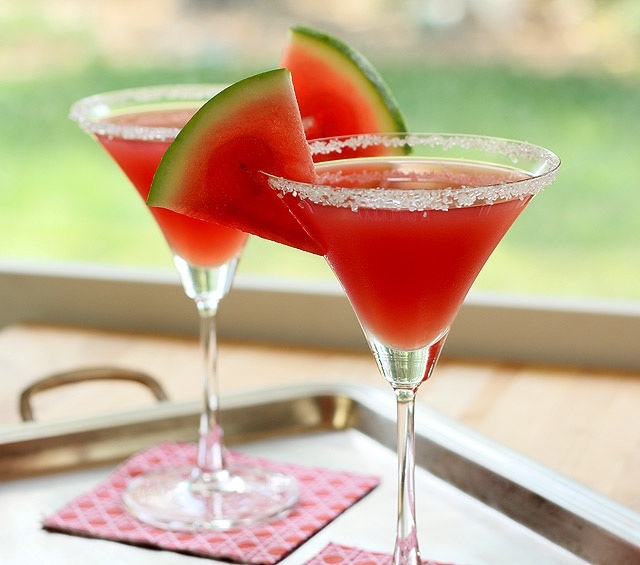 Strain and pour the mixture into the prepared glasses and garnish with a watermelon wedge. Summer in New York City! 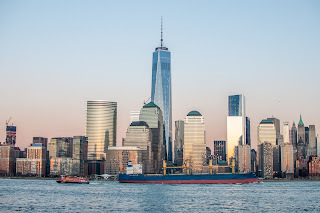 There's no place like Manhattan for enjoying yourself this summer. Pick up a Picnic Lunch from the Martinique Cafe, and enjoy the day at one of New York City's beautiful parks. 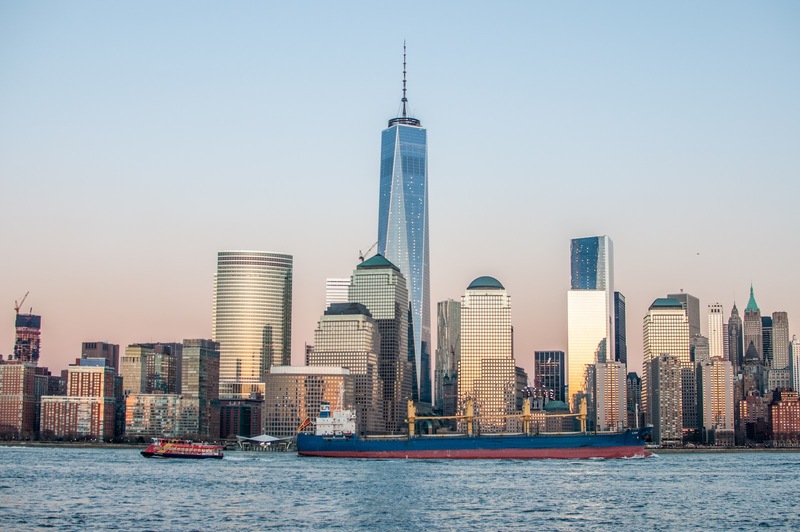 There is something for everyone at Central Park - Row a Boat, visit the Central Park Zoo, Catch a Shakespearean play, or visit Strawberry Fields. You can also find inspiration by visiting the chic shops in Greenwich Village for irresistible summer gear; dine alfresco at the best restaurants in SoHo; head to the world's greatest theater productions; indulge in all of the summer festivals - and don't miss a photo op with Patience and Fortitude, the Lions guarding the New York Public Library. And while staying at the Radisson Martinique, please enjoy the Martinique Café for a great grilled burger, or try the French Onion Soup and mussels at Petit Poulet French Bistro, and our complimentary Business Center, all located on the Lobby Level. The Hotel's Fitness Center is on the Lower Lobby level. Also, please visit our PGA Gallery located on the 2nd floor of the Hotel, a part of the wonderful history of the Radisson Martinique. Make your reservation today online at themartinique.com or by calling 212 736 3800. We look forward to welcoming you to the Radisson Martinique this summer!